My name is tony, and i was a carp fishermen from England. Just throwing myself out that to say hello, and looking for some great carp lakes / rivers to fish. Ohio is one of the more active "CAG" states..............check them out in the regional section of the forum. Your closest large body of water is probably Buckeye Lake. It is loaded with carp, but they tend to stay on the smaller size, 5-12 lbs. I used to fish it a lot when I was a kid with my biggest being 17lbs. I've heard of carp over 20, but they seem to be very rare or I'm fishing the wrong location / time of year. Alum Creek is also a very good lake for numbers with some large fish thrown in. The marina peninsula / dike off of Hollenback road fishing towards the lake seems to always produce carp. With heavy baiting it's sometimes hard to keep both roads in the water. 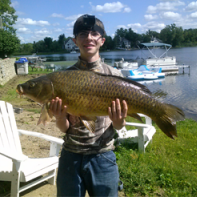 If you're looking for river carp check out the Muskingum, There are various spots all around the Zanesville area. Just a note, the river is very volatile even with a little rain. It seems to get high and fast very easily. I've had carp over 20lbs and the average size seems to be a bit bigger than the two lakes listed above. Hoover reservoir is very close to Alum Creek but it is a lake I've not fished much. There are carp there, but catfish are a real nuisance. You will find channel catfish and blue catfish (stocked a number of years ago). If you're lucky you may hook into one of the elusive Bigmouth Buffalos that are roaming around. There was a picture posted last year from the ODNR showing a state record Buffalo pulled out of the water during a "shock study." They shock the water and the fish float to the top while stunned. They do their measurements and the fish are set free. If you're available March 3rd we are having our yearly "Winter Social" at BW3's on Bethel Rd here in Columbus. We have about 15 people attending at this point. The Social consists of awarding metals for last years big fish, finalizing our 2018 fish-in schedule, a prize raffle, and we also eat a lot of food. Feel free to send me a message if you have any questions or need guidance. Welcome to the forum from a former Buckeye. I know all the places that Vince mentions and lived near most of them. That was before I discovered carp fishing. Vince, what about the Licking River that comes into Z'ville? Dillon Lake by Z'ville? Salt River by Cambridge? So much water, so little time! If you're willing to make the journey, Lake Erie can be awesome, especially the Sandusky Bay. Thank you for the reply, and info. I have used a few methods i was used to using in England, as carp fishing is all we do. do use cage feeders with my setup. 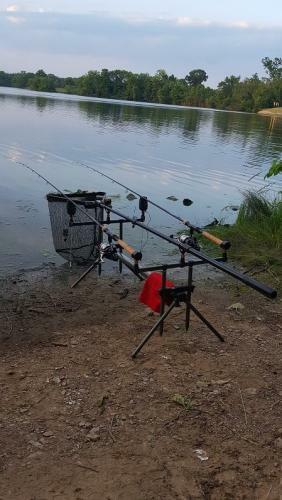 I used to do alot of match fishing in England, just aint done any for a while. And no, we dont eat the carp, we always put ours back. but all i have heard it is mad, and you get alot of people either casting near ya, or over ya line. lol i remember that well. Thanks for all the welcomes. I,m sure we have all learnt a few things over the years. One thing to keep in mind is that the carp in the U.S. are much more naive than in Europe. They hardly see any fishing pressure, they're wild, and many have never even seen a hook. 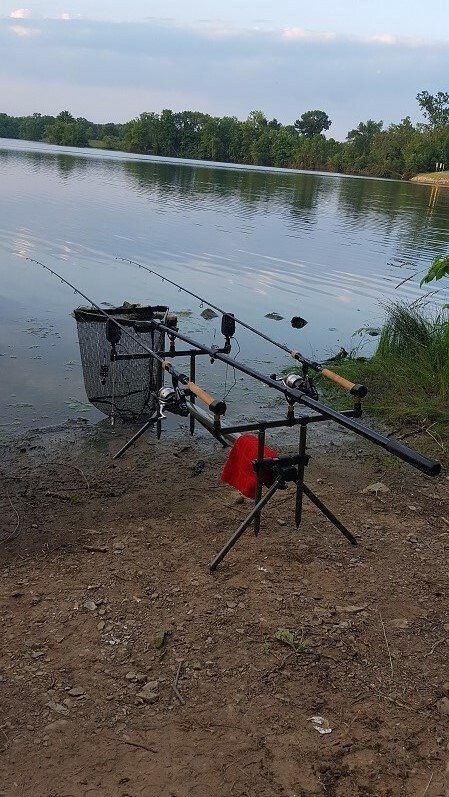 So unless you're fishing on a very difficult water with few carp, you won't need high nutritional value baits that are boosted with various flavors and essential vitamins etc. While that stuff does help it can get pricy and it's really not needed most of the time for U.S. carp. Very interesting indeed. I know buying some baits, can get a little pricey. But i do make alot of my own. But Your info, makes alot of sense, because i have wondered why i struggle a little using the baits i do. England, does not seen to work that well over here. But it`s all about trail and error. it`s very easy there, but then again i learned what worked best there. Thank you. See just joining this site, i`ve learned more in the last two weeks, then i have in the ten years i`ve been here.